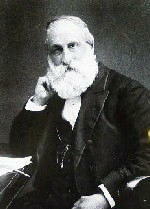 Born: 19 April 1827 York, England. Died: 5 March 1895 London, England. Daniel Hack Tuke was the great-grandson of the founder of the York Retreat, which had pioneered the moral management (as opposed to the restraint) of the mentally ill from its foundation in 1796, and a fourth-generation psychiatrist. Tuke graduated MD from Heidelberg University in 1853. In 1853, the newly graduated Tuke embarked on a honeymoon with his new wife Esther. The couple toured Europe, visiting asylums in Holland, Prussia, Austria, Germany and France. Tuke reported several of these visits to his father, Samuel Tuke of the York Retreat. In 1854 Tuke produced an essay entitled 'The progressive changes which have taken place since the time of Pinel in the moral management of the insane, and the various contrivances which have been adopted instead of mechanical restraint', which described some of the findings from his journey. Positions held by Tuke included visiting physician at the Retreat and the York Dispensary, as well as lecturing in psychology at the York School of Medicine. Poor health forced him to give up work and settle in Falmouth for fifteen years. He returned to work in 1875, moving to London and becoming a consultant in lunacy. As well as maintaining a private practice, he was variously a governor of London's Bethlem Hospital, President of the British Medico-Psychological Association, joint editor of The Journal of Mental Science and superintendent of Hanwell Asylum in London. Tuke was a prolific writer, editing A Manual of Psychological Medicine and A Dictionary of Psychological Medicine (the latter of which has been called "the most ambitious British psychiatric work of the nineteenth century") and writing Chapters in the History of the Insane in the British Isles.